Another year has dawned on us. 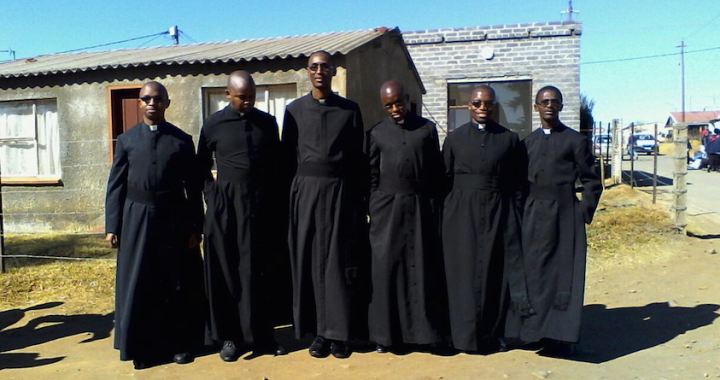 While 2016 started on a very saddening note with the passing of Fr Mpho Mona, a time came for us as seminarians to roll up our sleeves and get back to business. It was time to take another academic year head on. 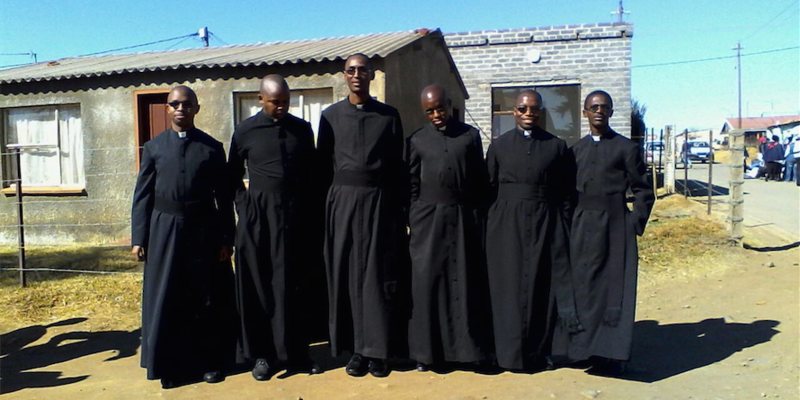 We were also encouraged by seeing one of our brothers, Rev Lerato Mokoena, get ordained a Deacon at Holy Ghost Cathedral on the 21st of December 2015. This event helped to be more focused on the goal to which we are aspiring. It was also a moment of reflection to see how far we have come and how the Lord has been good to us. From the 3rd to the 5th of January 2016 we met with our Bishop, Ntate Jan de Groef, and Fr Mosebetsi at JPII centre. This is an annual get together at which things range from discussion and presentation sessions, to one on one meetings with the Bishop, to relaxing with snacks and cool-drinks. This time serves to keep seminarians abreast about the diocese and ensures that they feel connected with the diocese at all times. It is a very informative time that also strengthens the bond between brothers and their fathers. This time around there was another twist to this wonderful time. Vocations groups came to meet us as well. They joined us for Mass and then we had a meeting with them after Lunch on the 4th of January. 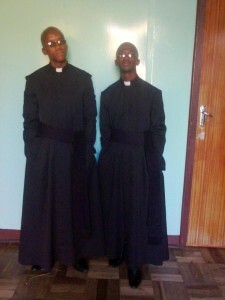 They gave us a glimpse of what they as the people of God think and expect of us as seminarians. It was indeed a great time for everyone involved. 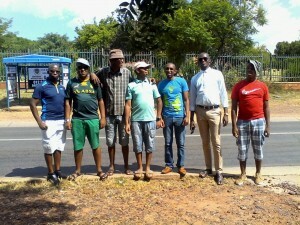 Having come back to the seminary we all went to the semester retreat at different places according to our classes. Upon our return we had orientation and classes started. On the 17th of February something very special happened. The seminary had a feast to celebrate two things. Firstly, it was the installation of the new rector who took office on the 1st of January 2016. 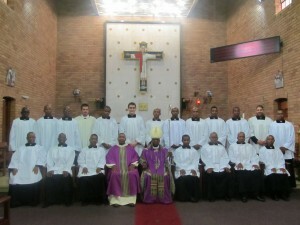 Then it was the acceptance to candidacy of the brothers who are starting their theology this year. 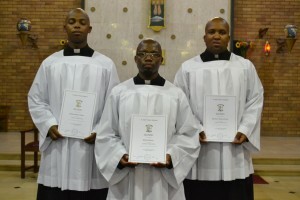 We are proud that the diocese of Bethlehem had three brothers accepted as candidates to Holy Orders; namely, Thabiso Matabane, Sabata Hoseas Makibi and Paballo Cedric Skhotha. We congratulate them on getting this far. May the God who brought them this far carry them through their whole seminary formation.